Mathilde Grooss Viddal (audio), Christine Istad (video) and Vigdis Storsveen (sculpture). 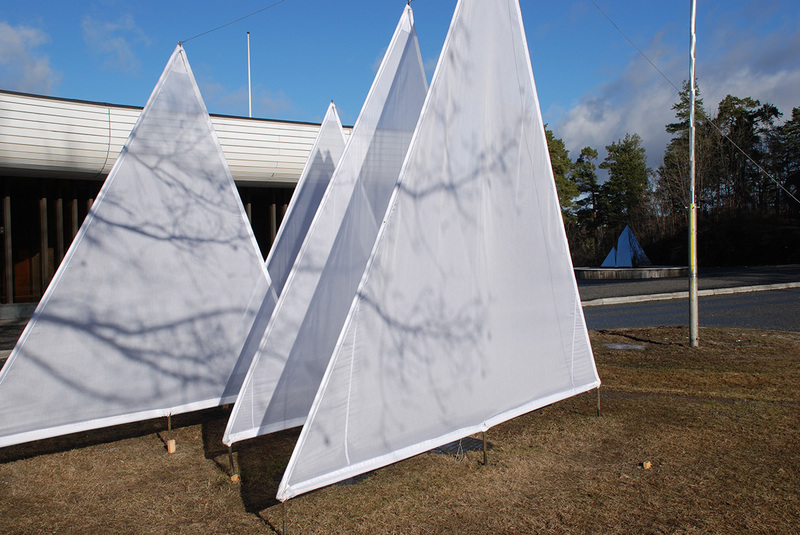 Mountains and the nearby Kolsås Heights were the inspiration for the outdoor installation "Frozen Landscape", which will be on show during the whole of the Henie Onstad Art Centre's winter festival "Art Encounters" ("Kunstløpet"). 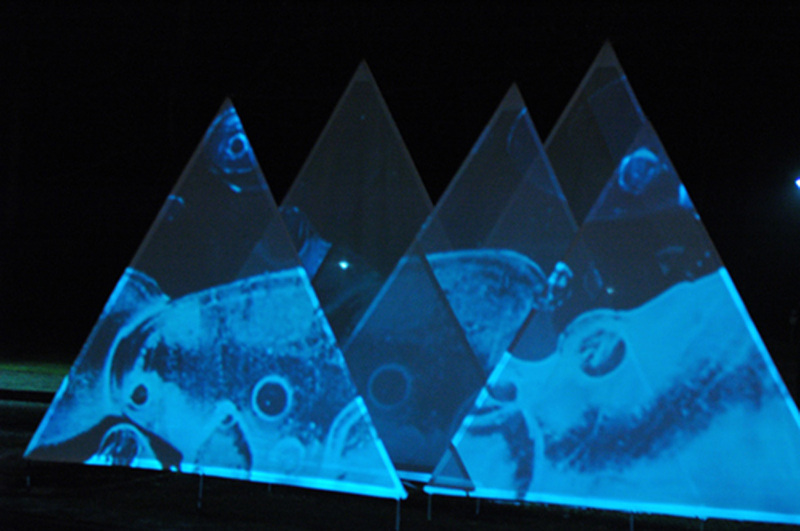 In the foyer of the Art Centre, the public will be met with an interplay of abstract sounds, fanciful videos and dreamlike mountain formations. The mountain formations, which are stretched onto canvases of different sizes, are by artist Vigdis Storsveen. 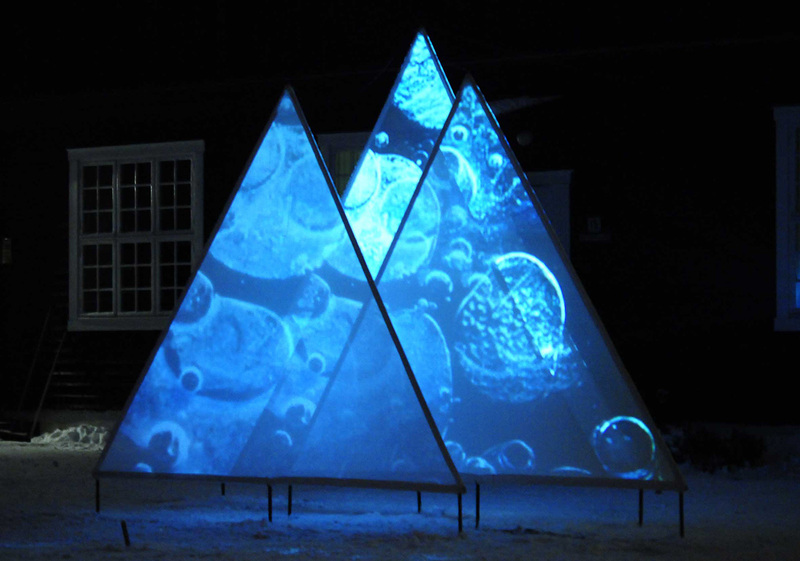 Projected onto the installation are Christine Istad's photo-based videos, which consist of close-up studies of the lakes around the Kolsås Heights and evoke associations to the universe and to micro and macro landscapes. The musician Mathilde Grooss Viddal has created a special audio backdrop for the work consisting of several different, ready-made compositions of varying lengths. 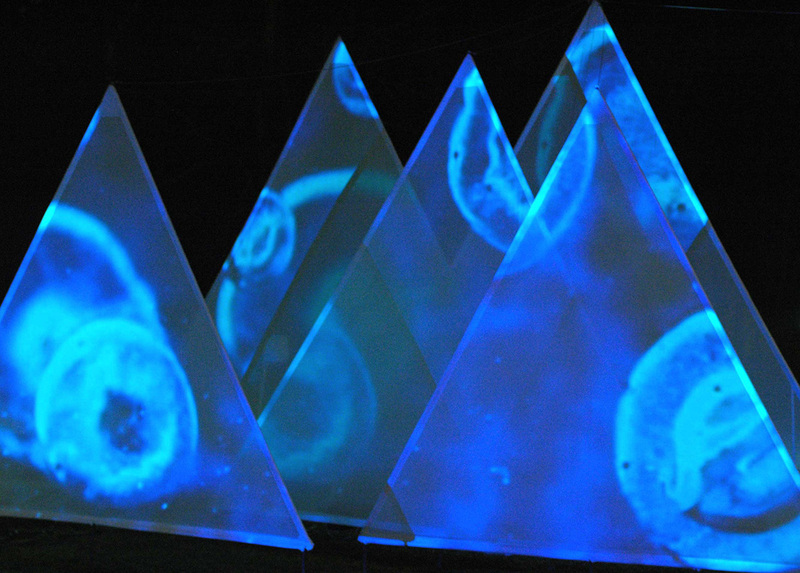 The different pieces of music are triggered by sensors as members of the public move around between the "mountain formations"; the music is therefore constantly changing. In other words, at any given moment the public plays an active role in creating the composition and the artwork. 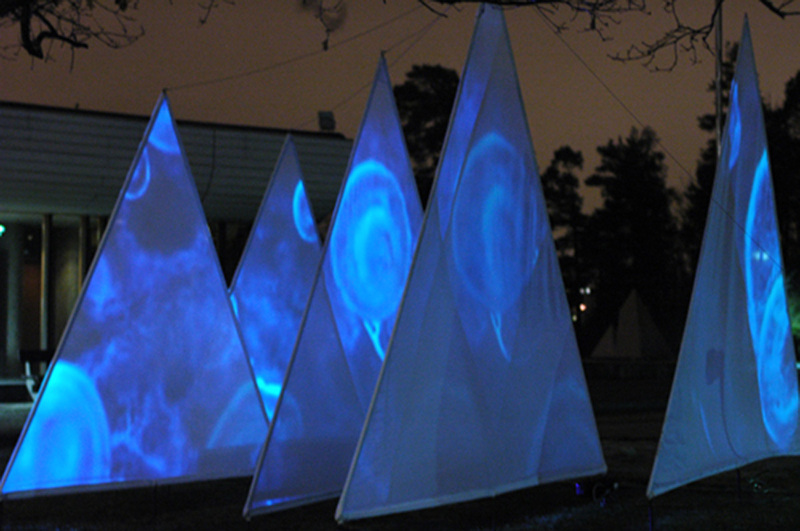 The installation "Frozen Landscape" is transformed from hour to hour as the conditions of light change from morning to evening and as the public affects the different sound tracks. In this way, the installation alludes to the ephemerality and vulnerability of nature in the face of human encroachments. Two key interpretations of "Frozen Landscape" are as a comment on how important mountains are for our water supply, which is so essential to us, and on how our management of natural resources renders them vulnerable.